If you enter sweepstakes to win gift cards, chances are that you will end up with a few that you don't really need. What are you to do if you aren't really fond of the overpriced coffees that your Starbucks gift card would bring you, or you win a gift card to a restaurant that's not in your area? Here's how you can sell your unwanted gift cards for cash and get as much of your gift card's value as possible. Many people think of eBay or Craigslist when they want to make some ​cash from their unwanted items. However, selling gift cards through Craigslist or eBay can make you vulnerable to scammers. One gift card scam on eBay works something like this: A buyer purchases a gift card from you and pays through PayPal. The buyer then requests that you send them the gift code by email or eBay message. Once he or she has received the gift code, he or she then spends the gift card quickly, then requests a refund through PayPal claiming that the purchase was unauthorized. Even with the screenshots of the gift code request, PayPal refunds the buyer's money, leaving the seller without either the cash or the gift card. In fact, the seller is even worse off, because they are still responsible for the eBay listing fees for the "sale." To avoid these kinds of scams, eBay's gift card policies prohibit selling electronically delivered gift cards. Buyers can have problems trying to purchase gift cards through eBay as well. For example, scammers might use a stolen credit card to purchase a Starbucks gift card and then sell the gift card on eBay. The buyers can check that the card has value on it, but when Starbucks learns that the card was purchased with stolen money, they can void the value of the card, leaving the buyer out the amount they paid and without a valid gift card. If they put the stolen card's value on their own legitimate gift card, they may even lose the total gift card value, even though part of it had nothing to do with stolen money. Craigslist has similar problems with gift card scams. To be safe, it's a good idea to steer clear of eBay and Craigslist when you want to get cash for your gift cards or to buy gift cards at discounted rates. If you want to exchange your gift cards for cash online, but you still want to be protected against scammers, there are websites designed to help. There are two basic types of online gift card sale websites. Gift card resellers let you sell your gift cards directly to the website for a specific amount of cash, and they resell the cards to consumers. Gift card exchanges, on the other hand, let you set your price for your gift cards and consumers buy them from you directly. You then pay a percentage of the sale to the website for providing the sales platform. In both cases, buyers and sellers both have built-in protections to prevent scammers from taking advantage. For example, gift card buyer site Cardpool.com offers buyers a one-year guarantee on the value of their cards while sellers can feel comfortable knowing that they are receiving their money from a highly respected company, not a stranger on a website. 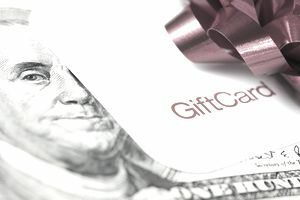 Gift card exchange site Raise.com handles collecting the money from the buyers so that you only have to worry about listing and shipping (if necessary) your gift cards. You receive your payout by direct deposit, check, or Paypal. Both of the above sites offer a one-year guarantee to buyers to ensure that they feel comfortable enough to shop, which means that more people are available to buy your unwanted cards. The first thing to decide is whether you want to go with a gift card exchange or a buyer. Buyers have the advantage of giving you a straight price for your gift card and you are sure that your card will sell. The process is quick and straightforward and there are no fees to pay in advance. The disadvantage of gift card resellers is that they have to be able to make a profit from the sale of the card down the line, so you might end up with less cash in hand than if you could pick your own price. Gift card exchanges let you set whatever price you think is fair for your gift card, which could end up netting you more cash. However, you might not find a buyer quickly or at all, and you can expect to pay a percentage of your sale to the site. For example, Raise.com charges 15 percent of your sale price. If you decide to go with a gift card buyer, the next step is to check how much they are offering for the cards you want to sell. They will usually offer a percentage of the face value of the gift card. The percentage offered varies depending on the popularity of the retailer behind the card. So it makes sense to comparison shop among several different sites. Penny Hoarder found that Cardpool.com had the best offers, but your experience might vary depending on the gift cards you have to sell and the going prices at the moment you decide to sell. Be sure to do your own research to find the best deal for your situation. Don't forget to evaluate additional fees as well. Some sites charge for listing your gift cards, for shipping, and more. Make sure that you get the most cash for your card by comparing your options carefully. If you are willing to consider something other than cash for your gift cards, you may be able to get a higher price if you are willing to accept a different gift card instead of money. Gift card buyers often give a few percents more value for gift card payouts, since it helps them move their product more quickly. If you are already planning on making a purchase, a gift card to a retailer is nearly as good as cash, so the extra value might be worth the slight inconvenience to you. If you've used part of a gift card but don't need the rest, the good news is that you can often get cash for the remaining balance. Check the policies of the gift card sites to see how to go about selling partially used gift cards. If you would like to do a good deed with your gift card, you can also donate your partial balances to charity using sites like GiftCards4Change. While you won't get cash in hand, you can use your donation as a tax deduction which could help offset the taxes on your sweepstakes prizes and you can help causes that are important to you while you do it. If you have a totally empty gift card, don't throw it out! Here are about a dozen cool ways to reuse empty gift cards, keeping them out of landfills and extending the enjoyment you receive from your prizes.